Having a friend or loved one booked into jail can create confusion and uncertainty, both for the inmate and for the friends or loved ones involved. You may have questions about mail, phone calls, visitation, health care, and many more areas. You will find it difficult to contact the person who was arrested for some time following the arrest and booking. This web page and the information contained herein was designed to help you understand the Cumberland County Sheriff’s Office Jail System. These pages are meant to provide you with the information necessary to help you interact effectively with jail staff while supporting your family member or friend in custody. 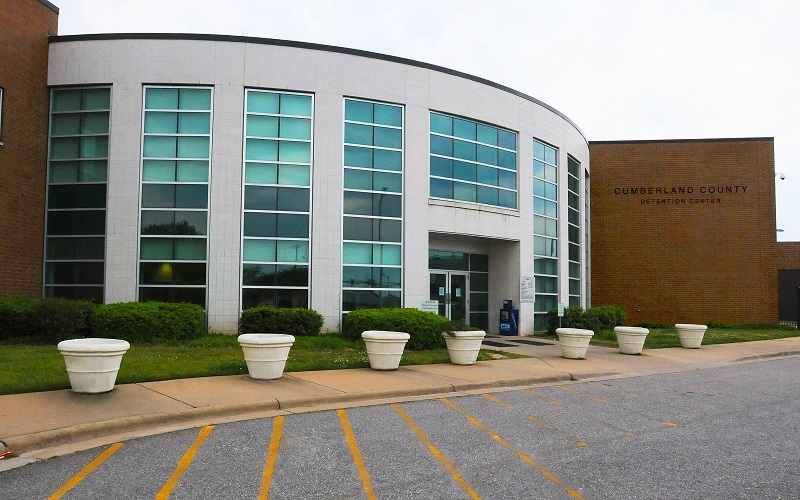 WHAT HAPPENS WHEN A PERSON IS BOOKED INTO CUMBERLAND COUNTY JAIL? When people are arrested they may be taken to the local police station where they may be interviewed, and where necessary reports and forms are prepared. If the individual is arrested for driving while impaired, a breath, or blood chemical test will be conducted. The pre-booking process can take four hours or more before the person is committed to the county jail. Since a good deal of time may pass before the jail data system has an entry of a person’s arrest, calling shortly after your friend or loved one is arrested you may find that they are not yet in the jail data. Do not be concerned by this delay, as the pre-booking process is routine and necessary. When arrested individuals arrive at the jail facility, they go through the intake and booking process before being housed in the inmate population. This process takes from four to eight hours and is comprised of medical screening, mental health screening, identification processes, warrant checks and clerical matters. A private medical screening by a member of the jail medical staff usually occurs at booking to make sure the inmate is not injured or in need of immediate medical treatment. A second screening is conducted to ensure that all conditions that an inmate may have are properly noted and that the facility is capable of meeting the inmate’s medical needs. During the intake and booking process the inmates are searched to make sure that no contraband is being brought in to the facility. They are photographed and fingerprinted. Their personal information is entered into the jail’s computer information management system, bail is determined by a judicial official and a court date is set. Some inmates may be eligible for release at intake on their own very soon after arrival at the facility. Intoxicated inmates may be held up to 24 hours, and sometimes longer, to ensure that they are sober enough to be safely released. Most inmates are eligible for bail, and they have access to telephones to allow them to contact assistance to arrange bail through family, friends or bail agents. When it is determined that an inmate will not make bail in the period immediately following admission, they are assigned to a housing unit based on their classification and other criteria.